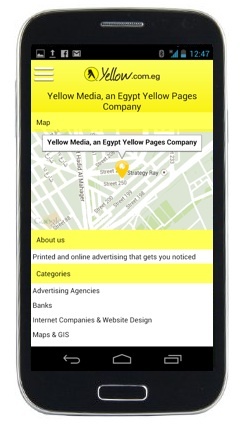 Yellow Pages has launched 3 new apps aiming at making its service easier to use and accessible to a wide range of users in Egypt. 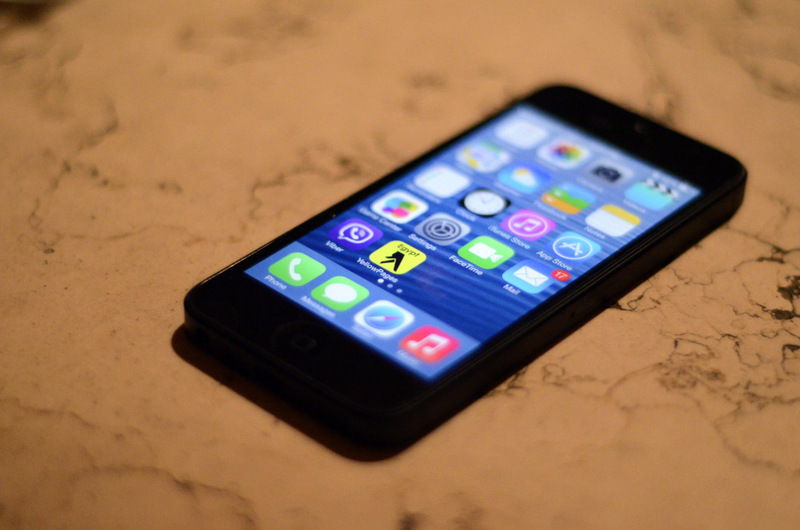 First up, there is a new Yellow Pages iPhone app available on App Store. The app is more than just a re-skin that is iOS 7 compatible, the app user experience is designed to help the users find what they are looking for on the go through a smart single search box where you don’t need to type the location and the app is smart enough to detect your location and show the results near you. The app is practically a directory and a map with over 330,000 business listings and venues in Egypt that users can carry in their pockets. Taping on one of the home category icons will effectively help the users discover and explore local stores and venues near them. This is good news for businesses that want to acquire more customers from their neighbourhood, or passing by customers that happens to be in this location at that specific time and need to buy a product or a quick access to a service. 4 new updates have been released to the app in the past 2 months, each single update of them received a stunningly 5 stars rating from the users. The old English and Arabic apps are now merged into a single universal app in which users can switch between the 2 languages; much better for the user experience. Android users now finally can download the long-awaited Yellow Pages Android app on Google Play store. The app is accessible to over 3,835 Android devices worldwide. The app is optimised for high end Android devices such as Samsung S4 and Samsung Galaxy Note 3 but it also works well with low end Android handsets such as the Galaxy Ace and Duos, also works great with 7 and 10 inch tablets. Integration is done nicely with Google maps, which makes it very easy for the users to use turn-by-turn voice navigation available in Egypt through Google Maps. The Android app has received very positive feedback from the users, over 680 users rated the app and over 82% of them rated 4 or 5 starts for it. Exceptional for an Android app to satisfy equally for both high and low end device owners. Windows 8 is often criticised for its shallow apps catalog, Egypt is no exception, but this is changing overtime with more apps being launched and push by Microsoft and its partner Linkdotnet in Egypt. Egypt Yellow Pages Windows 8.1 app is available for download on the Windows Store as one of the leading apps in the the Egyptian market, only a few apps came before like EgyptAir Windows App and Egyptian eGovernment maps app which is also powered by Yellow Pages data. The new apps have received hundreds of thousands of downloads and continue to grow rapidly. Yellow Media has announced its intent to launch a new context-based relevant in stream mobile ads as an innovative way of mobile advertising that has a positive value on the user experience based on their interests rather than traditional mobile banner advertising. Things that Starbucks doesn’t want you to know!